We’ve partnered with some of the UK’s leading manufacturers to provide durable, high quality bathrooms at affordable prices. With a full range of styles and design options, our bathroom range caters for properties of all shapes and sizes. From compact shower rooms and en-suites to, wet rooms and accessible bathrooms, find exactly what your need to transform your space. Need to adapt a property for disabled access? We’ll take care of your bathroom renovation quickly and courteously, causing little disruption to your property. 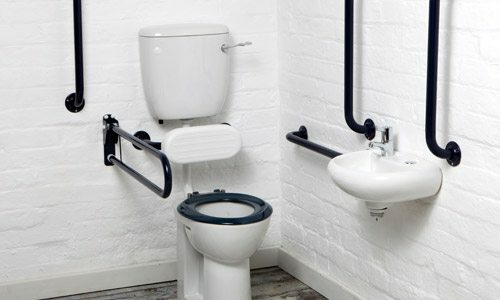 Find out more about our disabled bathrooms and wet rooms. Whatever your development, be it a rental, residential or recreational property, delays will cost you money. That’s why we take care of the entire process, from survey to installation and aftercare. 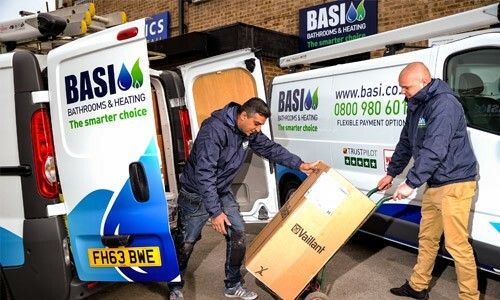 You’ll only ever deal with trained BASI professionals and won’t have to waste any time chasing multiple companies. Unlike many other commercial washroom suppliers, we see through your whole project from start to finish. Deal with one company from survey and design, right through to supply and completion of the full installation. Commercial bathroom renovations don’t have to be uninspired! In fact, commercial bathroom and washroom designs can be both affordable and elegant. Take a look at some of our previous installations, as well as our bathroom inspiration centre for some ideas.